Art Events and Art Exhibitions in Australia | Curatorial+Co. Curatorial+Co. 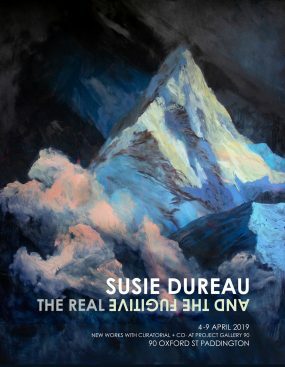 is proud to present The Real and the Fugitive—a Susie Dureau solo exhibition. These works act as landmarks through a terrain which is at once recognisable and elusive. The depicted geography is familiar, and yet there is a suggestion that the main theme is a place outside the picture’s frame. The glowing mists, the dark corners and the physical trace of the brushstrokes are all guiding the viewer past the conspicuous and into the unseen. That unseen landscape will not be clearly defined, or inhabited, yet it is the one we know in our bodies. It tells us we are part of a deep continuum. Constantly homesick for that place, we instinctively move towards it, but it is always just out of reach. Join us for a Friday evening drink to open Jasmine Mansbridge’s first solo show with Curatorial+Co. – Diamonds on My Mind: Ten Days in Beijing – at our Pymble showroom. In August 2018, Jasmine travelled to Beijing, China. This exhibition is a result of the impression that this vibrant city left on the artist. Immediately the capital felt grey, grey, grey, but Jasmine saw through this to glimpses of once-vibrant colour, time-worn to become faded maroons, wash-up pinks and dirty yellows. Exhibition run 7-17 March by appointment at the Curatorial+Co. Pymble showroom. Fred International and Curatorial+Co. 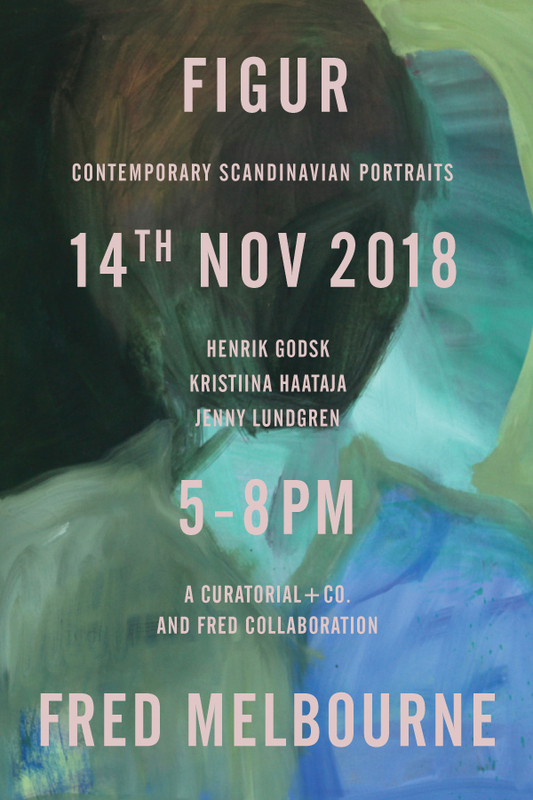 present works by three Scandinavian artists who represent the new wave of contemporary art from the north, and whose practice engages the ‘figure’ as muse. Henrik Godsk (Denmark) creates powerful androgynous portraits that spark imagination and internal conversation in the viewer; Kristiina Haataja (Sweden) succeeds in combining art and design through her sculptures of figures inspired by both Ancient Greek statues and Cubist forms and Jenny Lundgren (Sweden) blurs the line between figuration and abstraction with her dramatic and painterly works. These three artists have successfully taken notes from a rich history of their Nordic nations and spun them into an artistic future all their own. It is an honour to show these three talents to an Australian audience for the very first time. There is a human tendency, when chaos ensures, to create an approximation of reality, a façade, an air of order when the truth is quite different. Art then may act as a semblance of reality in order to deflect us from our own certainty and be guided by the artist into their realm. 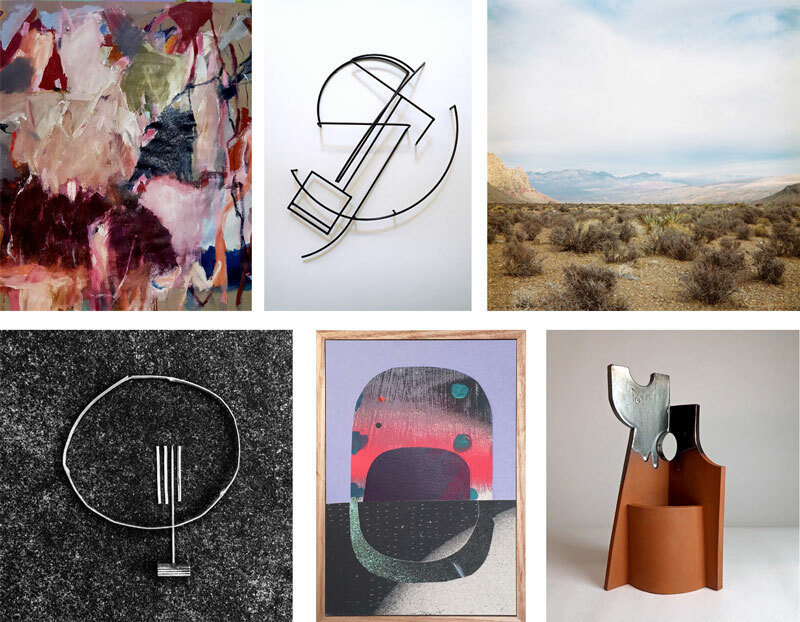 Curated by Sophie Vander of Curatorial+Co. 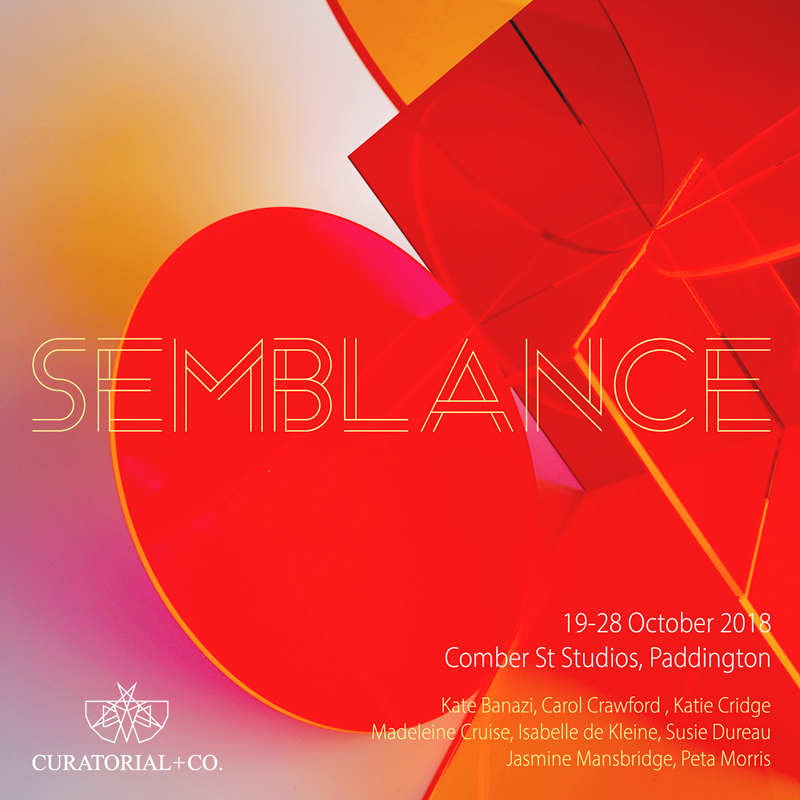 SEMBLANCE brings together seven artists, working in a variety of medium, who take everyday forms and imagery, and turn them into objects of desire. Carol Crawford’s sensual alabaster sculptures; Kate Banazi’s multi-coloured acrylic forms of inter-locking geometry; Madeleine Cruise’s painted collages of still-life objects; Isabelle de Kleine’s fractured portraits; Jasmine Mansbridge’s two-dimensional architectural elements; Peta Morris’s imagined landscapes and Susie Dureau’s earth-meets-interstellar works in the style of the old masters. This all-female artist show is bold, and engaging, and asks the viewer to step into a created world – a SEMBLANCE of reality. A sense of time and place; a moment of strength and grounding; a stillness and knowing. The works of four painters and two ceramic sculptors come together to form a collection of outstanding artworks grounded in the concept of PRESENCE. Each piece captures a moment in time where real strength and purpose takes place; where the artist seeks to contain an understanding of their environment, self or other in a limited space. 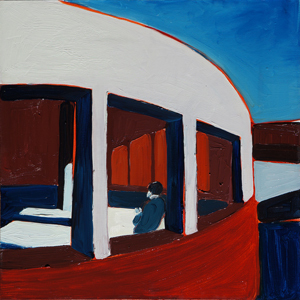 Looking into what appears to us to be the everyday – a forest, a train station, an architectural element, a figure or shape whether human or inanimate – the artist stops time to create a stillness and knowing of their surroundings. When a structure appears in the landscape, placed there by human intention or sprung forth through nature’s whim, a collection of shapes emerges that is quite unnatural in appearance. When nature is broken down, however, pure geometry exists – forms spliced and bonded, dissected and reformed. LANDSHAPE explores the idea of architecture within a landscape – whether that be 3D structures cut and moulded from minerals and elements of earth herself, or images of geometric forms of the landscape that rise from plains when plates collide. Remnants of discarded paraphernalia (both human and environmental) are reformed on land to give new perspective to these objects, and brush marks and collage come together to create a new language of landscape as the imagery is broken down to its purest geometric form. This is LANDSHAPE. 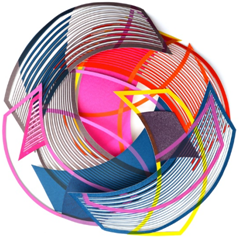 The concept of paper as subject as well as object is explored in Curatorial+Co.’s inaugural group show, PAPER. Celebrating the online gallery’s first ‘paper’ anniversary, artists from Australia, USA, Poland, Sweden, Canada and Scotland show works of art on and of paper, exploring the intricacies of its malleability and complexities of its form through working the subject’s softness and strength, layers and plains, movement and composition. Comprising painting, drawing, mixed media, sculpture and wallpaper pieces, the exhibition showcases the personal and often emotional link that many of the artists have to this versatile medium.